Free 2nd class post included with option to upgrade! 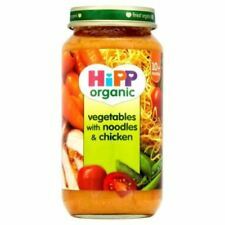 HIPP Tea Healthy drink for babies 20 bags TOP DEAL! New listingHIPP Tea Healthy drink for babies 20 bags TOP DEAL! Apple & banana puree with tiny apple pieces. 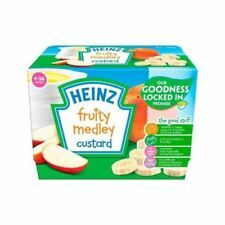 Our Just Fruit Pots Are made with the finest organic fruits, picked at the peak of ripeness to provide the best possible goodness & flavour for your baby. 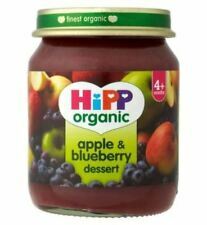 HiPP Organic Just Fruits Apple, Pear & Banana Pouch 100g. 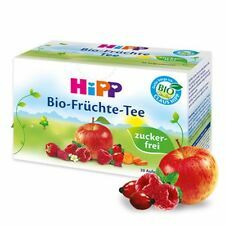 Hipp Just Fruit Apple & Pear (4 ) [(100gx4) x 6] (5 Pack). Hipp Fruit Duet - Mango Banana & Yog (7 ) [160g x 6] (2 Pack). Hipp Fruit Duet - Mango Banana & Yog (7 ) [160g x 6] (3 Pack). Hipp | Just Fruit Apple & Pear (4 ) | 2 x (100gx4). Hipp | Just Fruit Apple & Pear (4 ) | 3 x (100gx4). 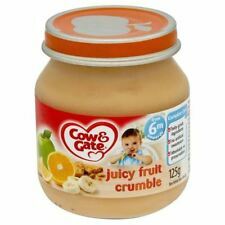 Fruit Layer is a delicious combination of mild yogurt and pure organic fruits presented in two separate layers - an ideal dessert or snack for the older baby. Hipp Fruit Duet - Mango Banana & Yog (7 ) [160g x 6] (4 Pack). Hipp | Just Fruit Apple & Pear (4 ) | 1 x (100gx4). Hipp | Just Fruit Apple & Pear (4 ) | 6 x (100gx4). Hipp | Just Fruit Apple & Pear (4 ) | 4 x (100gx4). Hipp | Just Fruit Apple & Pear (4 ) | 5 x (100gx4). Hipp Fruit Duet - Mango Banana & Yog (7 ) [160g x 6] (5 Pack).